Super Hot Deal – Canon 70D + Pixma Pro-100 Printer + SD for $698 at BuyDig ! 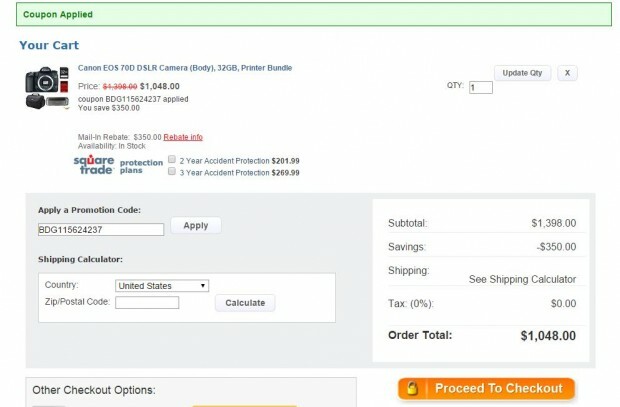 Canon USA authorized dealer Buy Dig has a super hot deal for Canon EOS 70D. Note: You must enter promo code when check out. This is currently lowest price for Canon EOS 70D. ← Canon 5Ds R now In Stock at Canon Authorized Dealer via eBay !